When you are struggling through an emotional crisis, you need to make sure that you are not doing any long-term damage to your mental and emotional well-being. Try to view this crisis as a moment of clarity. This could be the ideal opportunity for you to evaluate your life and everyone in it. Instead of falling into depression or anxiety, you should create a plan that will help you to move forward with a positive frame of mind. 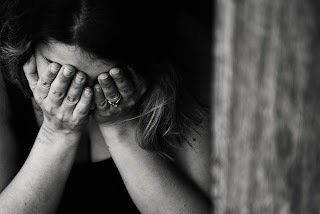 Below are three ways that you can protect yourself during an emotional crisis and take control of the situation that you are in. In an emotional crisis, it is important that you act fast. This will prevent the situation from spiraling out of control and will save you from any lasting damage. If you are not yet ready to take the lead, you should place your trust in the hands of the professionals. For instance, if you are faced with an unattended death cleanup, you can hire a service to do this for you. Why risk the emotional trauma, when you can rely on a team of experienced workers? Instead of taking on an unnecessary burden, you can focus on grieving for your loved one and working through your feelings. If you are going to make it through a difficult time, you will need to be surrounded by people and things that bring you happiness and strength. That is why you need to purge your life of any negative forces. Although it is important not to make any rash decisions when you are emotionally vulnerable, you should pay close attention to the people that are there for you and the people that aren’t. You should also evaluate the environment that you are living in and the way in which you are spending your time. Then, when you are in a more stable place, you can take the appropriate steps to escape negative energy and embrace a positive lifestyle. Going through a traumatic time can leave you with a new perspective on life. Make sure that this new perspective is a positive one. Why not download inspirational audiobooks, read uplifting self-help guides, and watch motivational movies? This is a brilliant opportunity for you to re-evaluate the path that you are on and to make sure that you are getting the most out of life. Just remember that you should only move forward when you are ready. If you are coming out of a relationship, grieving for a loved one, or dealing with the fallout of an accident, you need to take things one step at a time. Before you make any important decisions, you should create an inspiration board. This can be filled with your favorite quotes, images, and concepts. It should outline the future that you would like to enjoy and include all of the lessons that you have learnt during this trying time.